Do You Need To Remove Asbestos In Your Popcorn Ceiling? 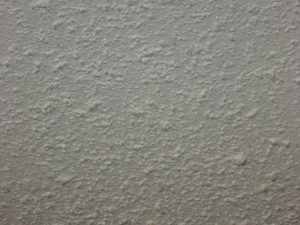 For decades, popcorn ceilings were a fashionable addition to residence in the Austin area and all over the US. Regrettably, like a lot of outdated building and paint materials, we now know that popcorn ceilings can pose serious health risks. Even minor damage and decay from aging can cause a contaminated ceiling to release asbestos. Because a slight disturbance can produce terrible results, it isvital to arrange professional testing before attempting to remove the problem through a DIY remodeling project. If you notice dents, tears or abrasions in an area suspected of containing asbestos, quarantine the room and don’t let anyone in until an expert has come to perform testing. When breakage occurs, toxic fibers are released into the air. If you breathe them in and they become lodged in your lungs, you could experience a variety of severe health concerns. Symptoms sometimes don’t appear until 20 to 30 years after being exposed to asbestos for the first time, but the effects are undoubtedly serious. Asbestos Abatement can help you with all of your Austin asbestos removal needs. Contact Asbestos Ace today to arrange third-party testing and efficient removal of the dangers posed by popcorn ceilings.